I got a call from you today. all of your 78-inches somehow stuffed into this bulky, white envelope, which my fingers gripped so tight my knuckles turned white. I wasn’t expecting you to arrive this way. in some forgotten file folder that was left in a sea of other forgotten file folders somewhere in a closet. in a way that no one else could. When I slid my finger under the envelope’s opening, I was holding my breath. 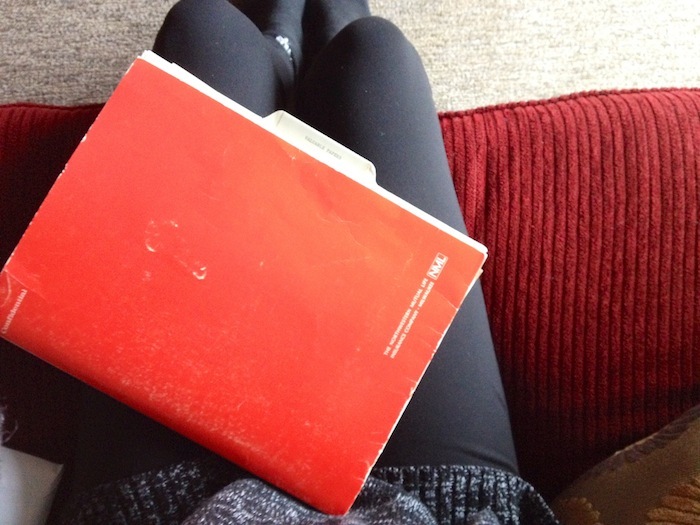 And I’m pretty sure I still wasn’t breathing when I tipped the envelope down and a red folder slid into my lap. Open it, Taylor. Come on. Just do it. But it’s not that easy, you see. to create a last precious father-daughter memory. And that’s a really raw place to tear open. So it’s really not that easy. The first piece of paper was a letter circa early 2000. 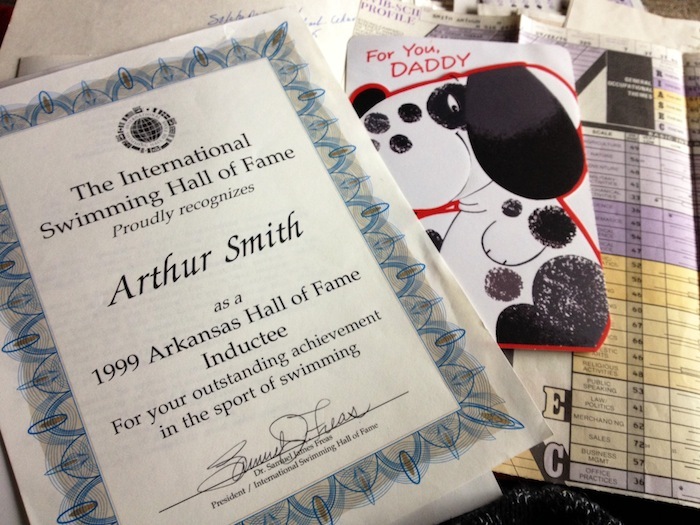 The letterhead stated Arkansas Swimming Hall of Fame. Whoa. Hold up. Dad, this is a BIG DEAL. Why didn’t you tell me about this?? The letter went on to talk about my dad’s swimming career, most of which I already knew, but when it was there, printed on this formal letter, it made my eyes go wide, my heart swell with pride. Dad, you were the dark horse, the unheard of swimmer who somehow conquered it all. You were nationally ranked, a five-time All American. You were a champion. You were so much more than a swimmer, Dad, but I am so proud that you didn’t let your inexperience in the swimming world hold you back. You did it. You worked so hard and you made your mark. 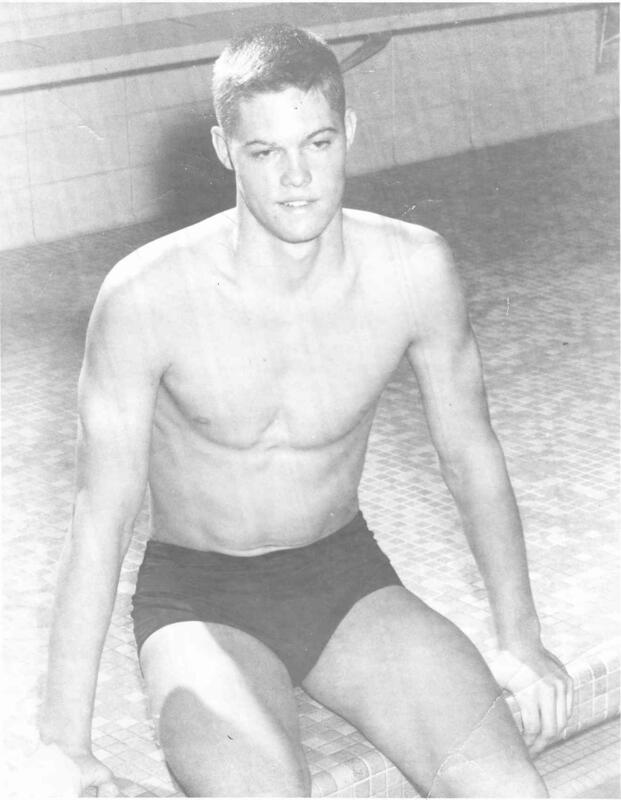 Dad during his swimming days at IU. So this mysterious folder business was off to a good start. But who knew what else was buried in the pile. 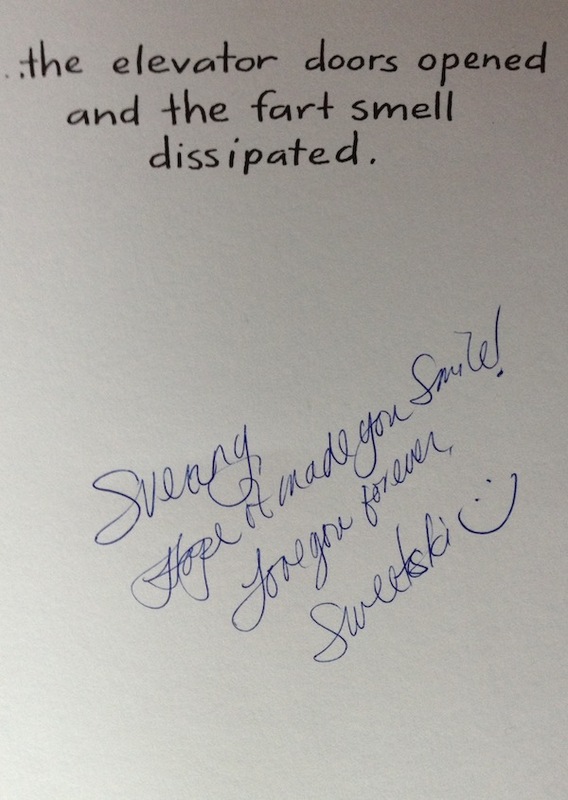 It was a “just because” card from my dad’s mom, who I called my nana. Nana and I weren’t super close. We never really had the opportunity to be, living more than a thousand miles apart. To tell you the truth, I always thought that I would never be able to relate to her – a sophisticated Southern woman and me, a prank-loving, spontaneous-dancing free-spirit child. But reading her words allowed me to learn more about my nana –and her relationship to her son, my dad- than I had ever known. Wow, Dad. You and nana must have been really close. I know I didn’t know her very well, but she really loved you. I’m so glad that you were so loved by your mom – that she thought the world of you. Because you so deserved that, Dad. You really did. 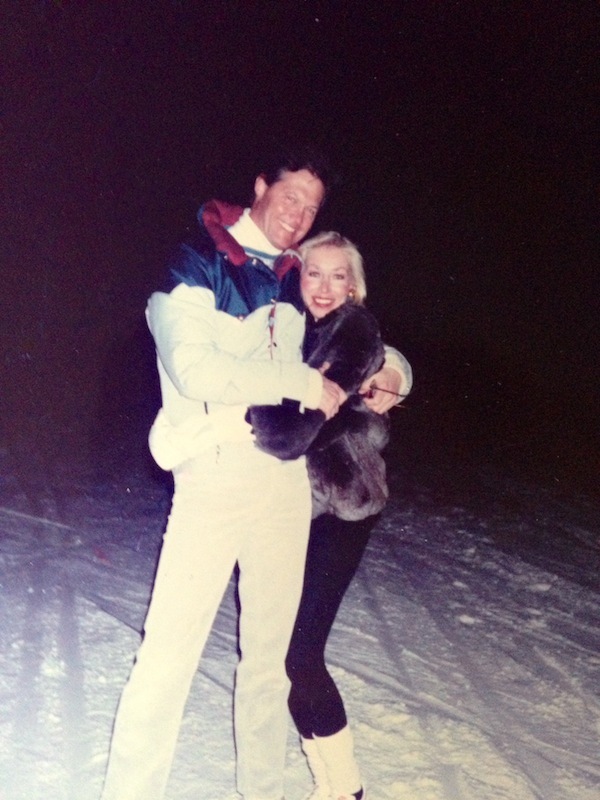 it was my mom, too – letters she had written him from their nearly 15 years of marriage. I know my mom and dad loved each other, but when you’re a little kid, you don’t really pay attention or pick up on the lovey-dovey stuff. Now that I’m older, I’ve been trying to remember how exactly my parents showed that they loved one another. As much as I rack my brain, I just can’t remember that many details, which is so frustrating. So much so, that sometimes I let doubt creep in and sabotage my thoughts of my loving family. These letters, I was beginning to realize, would either confirm those doubts or dispel them. I was hoping for the latter. Here it goes. Card one. That’s when the tears started falling. Mom. Dad. You two are ridiculous! This is so, SO you. Farts and romance and love-you-forevers in one sentimental card. Oh, this explains a lot. A lot about you two, our family, and why I am the way I am. You two, seriously. You’re the best. Farts and even something about dining together without clothes on. This was the love of my parents. It was them in all their quirky, hilarious, you-can’t-write-this-stuff kinda love. so hard it was like I was watching videos of stand-up comedy. The good kind. I tell you, this folder was the most beautiful gift. a man who was deeply loved, deeply passionate, and all together, deeply deep. Yup. That was my dad. One deep dude. I finished reading the cards and closed the folder, only wishing that there had been just a few more cards, a few more keepsakes or napkin-scribbled notes that could bring more of him back to me. days when you shout thanksgiving praise that you even got to know them at all. I have the best parents ever. Thank you, God. And Mom and Dad, thank you for this moment, too. I will always remember it. I will always remember you guys. Hi Taylor: I remember the call from your Mother when she first met your Dad. It went something like “Gina, I found my Dabo and yes, he is tall”. She visited my husband and I every year on her birthday and she adored Dabo and we used to look for a Dabo for her. My husband, Dabo is 6’6″ and we used to alway check out the tall guys looking for her Dabo. So the call was wonderful and funny. She said, “He could be the one”, and of course he was. Gina, your message brought the biggest smile to my face :o) I love hearing stories like this. I crave them! Hmm, the more I learn, the more I think I sound very much like my mom 🙂 Hugs to you, Gina! Taylor, this is the most profound love story I have read in a long time. Its beauty lies in the delight and wonder you got swept up in, as you relived those years through the pages of your parents. It made me see my marriage with eyes of gratitude and wonder. Your dad’s gifts to you are remarkable. Your gift of words and connectivity are God’s gifts to us, your readers and other friends. Thank you. You made my day. Taylor, my father left my mother when I was 5 years old and never came back into my life. He passed away one year before I’found’ him again through Veteran’s Admin records. I reconnected with his family and received many many letters, photos and cards, some WWII medals, etc. They are like the ‘dry bones’ of his person hood, that God has fleshed out for me over the years. I know how important that has been for me. I’m rejoicing with you that you received the same opportunity. You are blessed! Taylor, I LOVE the way you write! Hi! I'm Taylor. My belief that everyone has a story worth sharing is what drives me to help others embrace their voice and use it for good. i’ve never seen a day where God didn’t break through darkness with Light. . i’ve never heard a bird sing a song that wasn’t anything save the song its Maker placed on its heart. . i’ve never felt a pain so deep that I knew wouldn’t one day be a memory of my past, yet still, wouldn’t be removed from my story. . My family in and from Rwanda has taught me much about what it means to let praise rise, even in the midst of our lament. Thank you for reminding us all that tragedy is not our identity, nor the end of our story. I thank God for the ways He has allowed your praise, even in the pain, to rise above the storm. 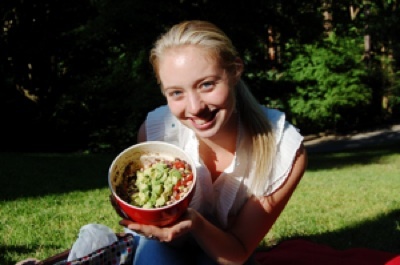 Enter your email here to my follow tasty blog and receive new posts by email! Realizing the beauty in small everyday things!